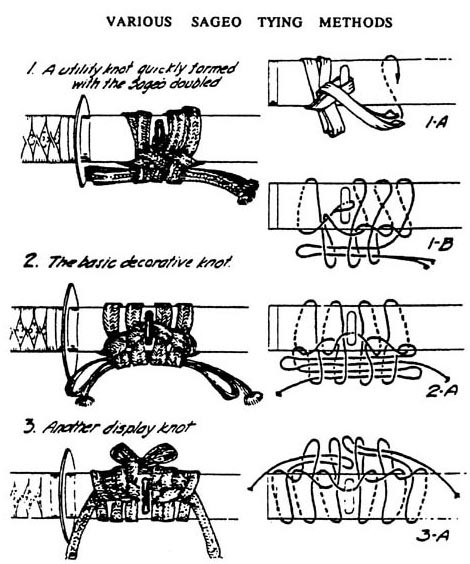 The cord below (called the Sageo) is used to secure the sword to your waist. 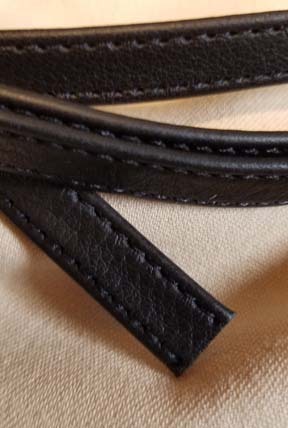 Note that a traditional plain black Sageo is most often preferred. 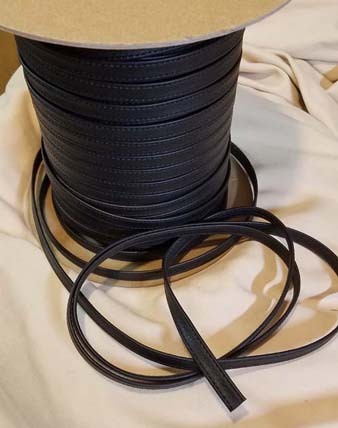 A standard Katana length (66" average) cord. Wakizashi and Tanto Sageo are available in a limited choice of colors - please inquire as to availability. Extra-long Sageo are 7 feet long (2.20 meters) instead of the standard 5.5 feet Katana Sageo length. 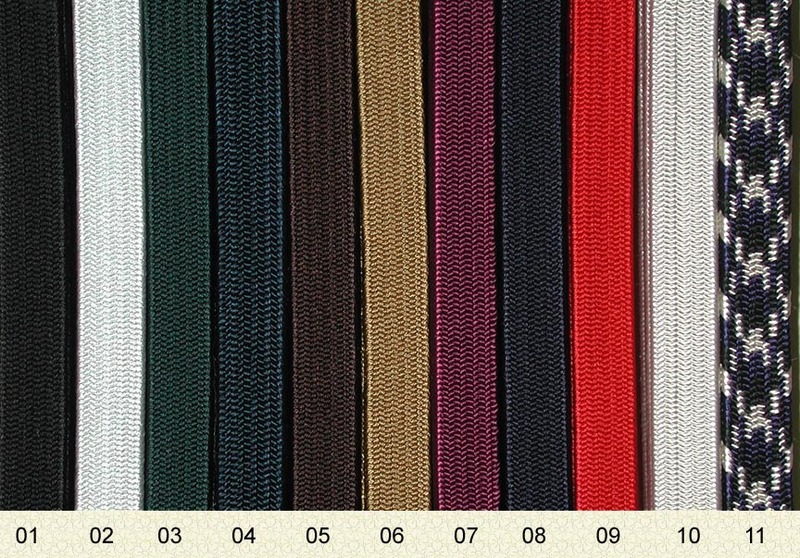 They are available in a much wider selection of colors. 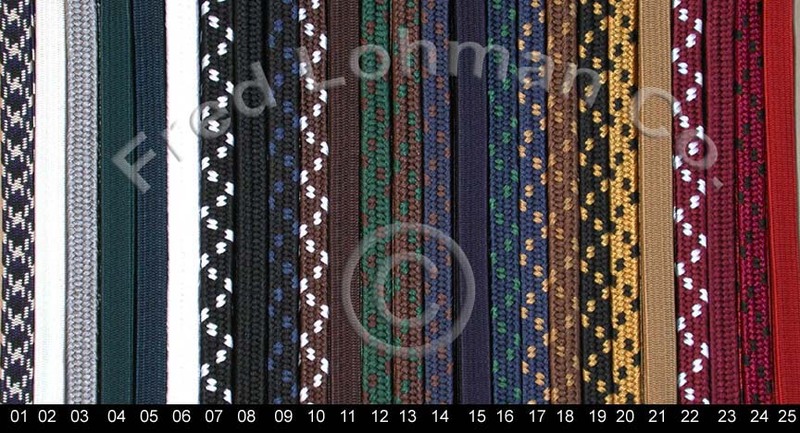 If you want a genuine Silk Sageo, they are available and will cost approximately $80 to $100 & often more. Most users of our man-made Silk Sageo have voiced an opinion that there is no functional difference between them & pure Silk. with almost half of the roll out the door.